Things have been pretty grey here in Toronto lately and if you’re anything like me there is a direct correlation between dreary weather & dreary moods. So…what’s been keeping my spirits up lately? Autumn isn’t always easy. Its sad saying so long to summer and hello to months of blustery cold. Albums like these make me feel better about the prospect of staying in & sipping tea till March rolls around. I love Joy’s approach to health and wellness because she provides sound nutritional advice focusing on organic and whole foods , but she doesn’t shy away from talking about how issues like stress, anxiety and depression can be just as important when it comes to your overall health and happiness. In this workshop she even touched upon how issues of sexuality and sexual health can be tied to food and emotional eating. I know, right? She’s awesome. I’m such a fan. 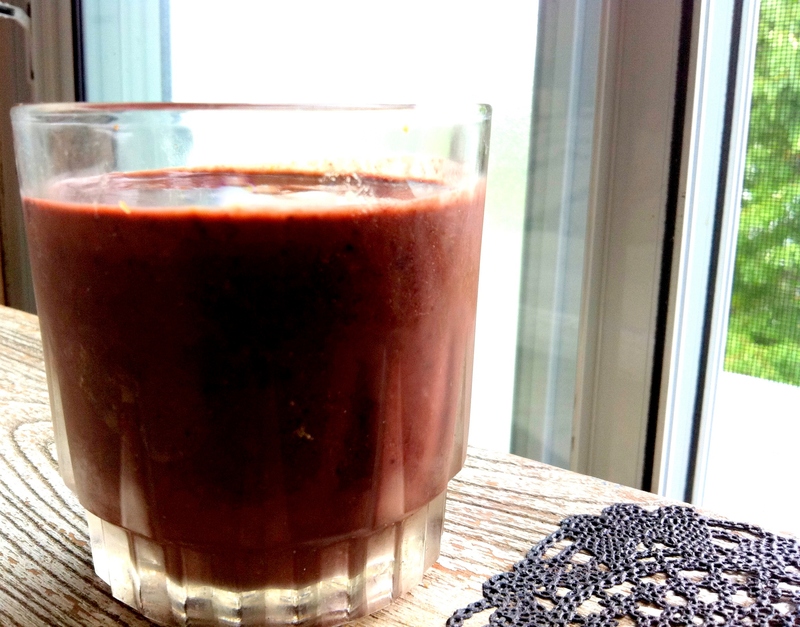 B vitamins abound in this smoothie from the leafy greens, plus heavy duty antioxidant power in the cacao & berries, blood sugar balancing protein and cinnamon and an omega blast in the chia and flax combo. I felt like a freaking superhero after knocking back this thick and tasty conconction. And just in case you wanna get crazy with me…I figured I better show you how I really enjoy my smoothies. 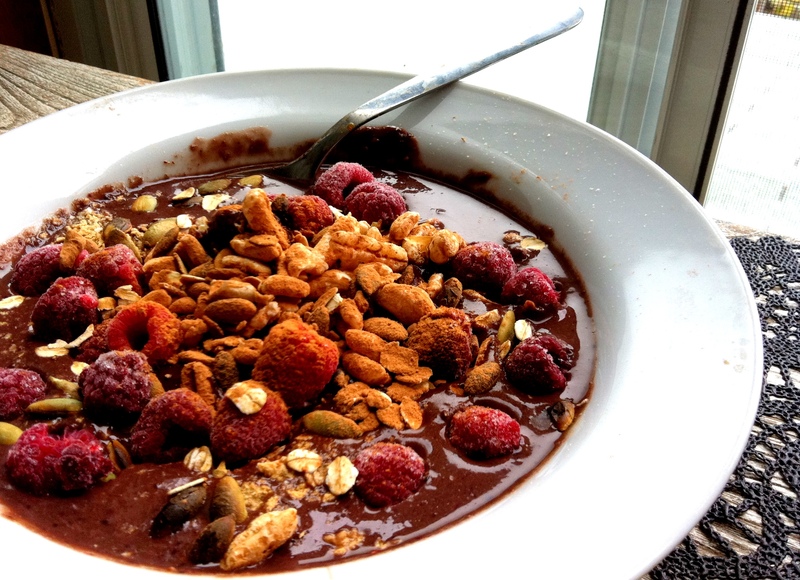 Like a huge bowl of super thick chocolate milk topped with extra cocoa powder, frozen raspberries, toasted pumpkin seeds, raw oats and nature’s path kamut puffs. Strange? Possibly. But trust…it’s delicious. Have I ever lead you astray? this smoothie looks delicious. i started adding cocoa powder to just about anything! i just love it! The only trouble with my cocoa is that I run out of the stuff so quickly…gotta start buying in bulk like I do with my carob powder!